190mm wooden paddler lure, red bellied snake. 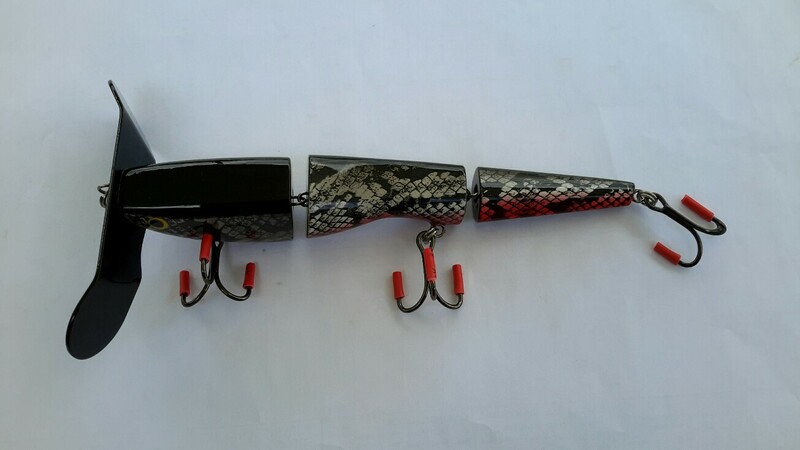 Description: 190mm wooden paddler lure specifically designed for Murray Cod. black scale pattern, black back, red bottom. Fitted with black chrome 2/0 3xxx VMC black chromed hooks.